(3) Documents why any processes, events, or sequences of processes and events identified pursuant to paragraph (a)(1) of this section were not included in compliance assessment results provided in any compliance application. (2) Any activities that occur in the vicinity of the disposal system prior to or soon after disposal. Such activities shall include, but shall not be limited to: Existing boreholes and the development of any existing leases that can be reasonably expected to be developed in the near future, including boreholes and leases that may be used for fluid injection activities. The individual and groundwater protection requirements (40 CFR § 191.15 and 40 CFR Part 191 Subpart C [U.S. EPA 1993]) place limitations on both the potential radiation exposure of individuals and the possible levels of radioactive contamination of groundwater resulting from disposal of waste in the Waste Isolation Pilot Plant (WIPP). The individual protection criteria of 40 CFR § 194.54 (U.S. EPA 1996) focuses on the annual radiation dose of a maximally exposed hypothetical person living on the surface just outside the boundary to the accessible environment. In contrast to the containment requirements, the individual and groundwater protection requirements apply to the potential doses received by an individual over a human lifespan. Moreover, compliance assessments utilized to demonstrate compliance with the individual and groundwater protection requirements consider performance of the repository in the "undisturbed scenario," that is, without any human intrusion. As with performance assessments (PAs), compliance assessments must consider features, events, and processes (FEPs) and the uncertainties associated with those FEPs. PAs are used to demonstrate compliance with the containment requirements of 40 CFR § 191.13 (U.S. EPA 1993). Compliance assessments may be regarded as a "subset" of PAs, inasmuch as the latter incorporate FEPs related to undisturbed conditions that are necessary for the compliance assessment. The results of the PAs are used as input values to the compliance assessments. Section 194.54 contains the criteria for assessments of the WIPP's compliance with the individual dose and groundwater protection requirements. 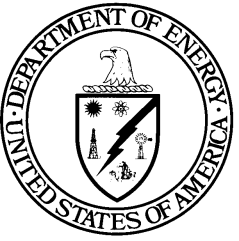 Per 40 CFR § 194.54(a), the U.S. Department of Energy (DOE) included in the Compliance Certification Application (CCA) (U.S. DOE 1996) a com prehensive list of FEPs evaluated through the compliance assessment. The U.S. Environmental Protection Agency (EPA) reviewed the DOE's initial FEP list to determine whether it was comprehensive in the CCA. The EPA examined information sources used by the DOE to compile FEP lists for technical accuracy. The EPA also examined FEP listings to determine whether the DOE's rationale for reducing the number of FEPs was appropriately documented and technically sufficient. The EPA concluded that the DOE adequately identified and considered any natural processes or events that may occur within the regulatory time frame in the WIPP area. The EPA reviewed the CCA, Appendix SCR; numerous references; and FEP screening record packages. To evaluate compliance with 40 CFR § 194.54(b), the EPA reviewed the DOE's arguments concerning natural flow through abandoned boreholes within the Land Withdrawal Boundary, including natural fluid head conditions, abandonment techniques, and number and location of abandoned boreholes. The EPA concluded that the DOE's screening arguments and documentation were reasonable. In accordance with section 194.54(b), the EPA's detailed review of the CCA indicated that the DOE appropriately screened the FEPs, although the limited justification of some FEPs required additional evaluation. The EPA ultimately concluded that the DOE appropriately identified and screened FEPs pertaining to undisturbed performance. The EPA concluded that criteria for screening FEPs were adequately described and implemented. Also, the EPA concluded that the DOE appropriately identified and discussed the effects of the sequences and combinations of FEPs that resulted in modeled scenarios. In the CCA, the DOE screened out the possibility that oil and gas extraction would affect the W IPP based upon low consequence. The EPA concurred with the DOE's decision and concluded that the FEP screening appropriately considered the possibility of both subsidence and pressure gradients due to oil and gas extraction. The EPA concluded that the DOE considered the appropriate issues, and that the technical conclusions reached by the DOE regarding current and near-future screening of oil and gas extraction activities were valid. (See Technical Support Document for 40 CFR § 194.32: Fluid Injection Analysis, U.S. EPA 1998a, for detailed results of the EPA's analysis. See Compliance Application Review Document [CARD] 32, U.S. EPA 1998b, for a discussion of the EPA's analysis of fluid injection.) A complete description of the EPA's 1998 Certification Decision for section 194.54 can be found in U.S. EPA 1998c. Also in regard to section 194.54(b) for the CCA, the DOE screened out induced system changes due to hydrocarbon storage operations that have occurred thus far in the vicinity of the WIPP site, based on low consequence. The EPA concluded that this screening was appropriate. Although the DOE did not specify oil and gas field lifetimes in detail for each field near the W IPP in the CCA, Appendix DEL, the EPA found that it was possible to derive the expected active lifetimes of oil and gas fields from information presented in that appendix. The EPA agreed that the lease life estimation values presented in the CCA were reasonable, although the EPA asked the DOE to consider the effects of longer injection periods (Trovato 1997). In response, the DOE performed a second analysis applying more conservative assumptions, including longer injection periods. The second analysis supported the conclusion of the earlier screening evaluations (Stoezel and Swift 1997). The 2004 Compliance Recertification Application (CRA-2004) (U.S. DOE 2004) did not report significant changes related to the section 194.54 criteria. In the CCA, the DOE screened in 67 undisturbed performance FEPs. The DOE added three FEPs as a result of its CRA-2004 FEPs reevaluation (see Appendix PA-2004, Attachment SCR): Organic Complexation (W68), Organic Ligands (W69), and Surface Disruptions (H41). FEPs W68 and W69 were added because information acquired since the CCA indicates that organic ligands may increase actinide solubilities and should be included in assessments at the WIPP (see Appendix PA-2004, Attachm ent SCR, Section SCR-6.5.6.1.3 ). FEP H41 was added because surface activities may impact infiltration, requiring its inclusion in assessments (see Appendix PA-2004, Attachm ent SCR, Section SCR-5.3.1.2.3 ). All other undisturbed performance FEPs were unchanged in the CRA-2004; therefore, except for FEPs W68, W69, and H41, the DOE did not change the process, screening arguments, or final decisions related to 67 FEPs in the CCA. The CRA-2004, Chapter 8.0, Section 8.1.1 documents that the DOE considered existing boreholes and potential boreholes as required by 40 CFR §§ 194.52(b)(1) and 194.52(b)(2) (U.S. EPA 1996). In the CRA-2004, the DOE confirmed that the most plausible undisturbed transport pathway is through the anhydrite marker beds as assumed in the CCA. Therefore, the DOE's approach had not changed since the CCA. In the CRA-2004, the DOE did not change its dose calculation methodology. The DOE continued to assume an existing borehole (see the CRA-2004, Chapter 8.0, Section 8.1.2.1) and continued to use a bounding analysis (see the CRA-2004, Chapter 8.0, Section 8.1.2.2) if needed. The DOE determined that the maximum release concentrations predicted for undisturbed performance were lower than the CCA predictions; therefore, the new bounding dose calculations were not needed for the CRA-2004. The DOE reconsidered some parameters, such as average water use and its water quality determination, based on information acquired since the CCA (see the CRA-2004, Chapter 8.0, Sections 8.2.1 and 8.2.2). These parameter changes did not change the DOE's analysis. The EPA reviewed DOE compliance with the section 194.54 criteria (CARD 54, U.S. EPA 1998c). The EPA verified that the DOE's FEP development process had not changed since the CCA. The DOE reevaluated CCA FEPs in the CRA-2004, and the EPA found the CRA-2004 process to be reasonable and adequately documented. The EPA found that the DOE adequately identified FEPs that may occur over the regulatory time frame (see the CRA-2004, Chapter 6.0, Section 6.3.1), identified FEPs included in the compliance assessment (see the CRA-2004, Chapter 6.0, Section 6.3.1), and adequately documented why FEPs were not selected (see Appendix PA-2004, Attachment SCR). The EPA also found that the DOE adequately considered existing wells and activities that may occur in the vicinity of the WIPP (see the CRA-2004, Chapter 8.0, Section 8.1.1). The EPA received no public comments on the DOE's continued compliance with the scope of compliance assessment requirements of section 194.54. After their review, the EPA found that the DOE continued to comply with the requirements of section 195.45 (U.S. EPA 2006). There were no significant changes related to the section 194.54 requirements between the CRA-2004 and the CRA-2009. The screening decisions for the undisturbed performance FEPs did not change for the CRA-2009, but the justification for some screening decisions were changed as described in Appendix SCR-2009 (U.S. DOE 2009). Appendix IGP-2009, Section IGP-2.1 demonstrated that the DOE continued to consider existing boreholes and potential boreholes as required by sections 194.54(b)(1) and (b)(2). The CRA-2009 PA analysis continued to confirm that the most plausible undisturbed transport pathway is through the anhydrite marker beds, as assumed in the CRA-2004 and the CCA (Appendix IGP-2009, Section IGP-2.2.1 ). The DOE's approach was not changed. The DOE did not change its dose calculation methodology. The DOE continued to assume an existing borehole (Appendix IGP-2009, Section IGP-2.2.1 ) and still applied PA results in a bounding analysis (Appendix IGP-2009, Section IGP-2.2.2 ). The DOE continued to determine that the maximum release concentrations predicted for undisturbed performance were lower than the CCA predictions; therefore, new bounding dose calculations were not needed for the CRA-2009 (Appendix IGP-2009, Section IGP-2.3 ). The DOE also reconsidered some parameters, such as average water use and associated water-quantity determinations, based on acquired information since the CRA-2004 (Appendix IGP-2009, Sections IGP-3.1 and IGP-3.2). The new information provided by the DOE in the CRA-2009 did not warrant changes to the analyses. Based on this information, the DOE believed continued compliance with the requirements of section 194.54 was demonstrated at that time. The EPA reviewed DOE compliance with the section 194.54 criteria (CARD 54, U.S. EPA 2010). The EPA verified that the DOE's FEP development process had not changed since the CCA. The DOE reevaluated FEPs in the CRA-2009, and the EPA found the CRA-2009 process to be reasonable and adequately documented. The EPA found that the DOE adequately identified FEPs that may occur over the regulatory time frame (see Appendix IGP-2009, Section IGP-2.1 ), identified FEPs included in the compliance assessment, and adequately documented why FEPs were not selected (see Appendix PA-2009 and Appendix SCR-2009). The EPA also found that the DOE adequately considered existing wells and activities that may occur in the vicinity of the WIPP. The EPA received no public comments on the DOE's continued compliance with the scope of compliance assessment requirements of section 194.54. After its review, the EPA found that the DOE continued to comply with the requirements of section 195.54 (U.S. EPA 2010). There are no significant changes related to the section 194.54 requirements since the CRA-2009. The screening decisions for the undisturbed performance FEPs have not changed for the CRA-2014, but the justification for some screening decisions has changed (Appendix SCR-2014). Appendix IGP-2014, Section IGP-2.1 demonstrates that the DOE continues to consider existing boreholes and potential boreholes as required by sections 194.54(b)(1) and (b)(2). The CRA-2014 PA analysis continues to confirm that the most plausible undisturbed transport pathway is through the anhydrite marker beds, as assumed in previous CRAs and the CCA (Appendix IGP-2014, Section IGP-2.2.1 ). The DOE's approach to compliance assessments has not changed. The DOE has not changed its dose calculation methodology. The DOE continues to assume an existing borehole (Appendix IGP-2014, Section IGP-2.2.1 ) and still applies PA results in a bounding analysis (Appendix IGP-2014, Section IGP-2.2.2 ). The DOE continues to determine that the maximum release concentrations predicted for undisturbed performance are lower than the CCA predictions; therefore, new bounding dose calculations were not needed for the CRA-2014 (Appendix IGP-2014, Section IGP-2.3 ). The DOE has also reconsidered some parameters, such as average household water use and associated water-quantity determinations, based on acquired information since the CRA-2009 (Appendix IGP-2014, Sections IGP-3.1 and IGP-3.2). The new information provided by the DOE in this document does not warrant changes to the original analyses. Based on this information, the DOE believes continued compliance with the requirements of section 194.54 is demonstrated.